The Knights of Malta (full name: the Knights of the Order of St. John of Jerusalem) were formed in 1085 and were originally a community of monks who were responsible for taking care of the sick at the Hospital of St John in Jerusalem. Years later, the Knights became a military order who were responsible for defending the crusader territory in the Holy Lands. Hundreds of years later in 1530, the Knights arrived in Malta as they had been forced to leave the island of Rhodes by the Turks. 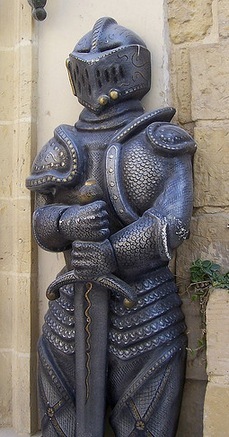 Apparently the Knights were given the choice of Malta and Tripoli and chose Malta as they were said to prefer it. Once the Knights were settled on the island they set about transforming it and created extremely powerful defences, fortresses and watch towers as well as a number of churches and palaces. They also created the incredible city of Valletta, which the grandmaster at the time ,Jean Parisot de La Vallette declared should be “a city built by gentlemen for gentlemen.” It is still an incredible city, as well as a recognised UNESCO World Heritage site. The Knights of Malta were made up from wealthy European aristocratic families, typically from Italy, Spain, England and Portugal. Although they were volunteer Christian crusaders, they lived very extravagant lifestyles! The strategic location of Malta made it an obstacle for attacks from Muslim countries on Christian Europe and indeed there were many Ottoman attacks between 1551 and 1644. The most famous of all the attacks was the Grand Siege of Malta that took place in 1565. In this battle, 30,000 Turks were defeated by 600 Knights and 600 soldiers and volunteers. It was quite an incredible battle and not one that the Ottoman empire expected to lose when they set out! However, the military knowledge of the Knights and the bravery of the Maltese people provided to be a winning combination! This win is said to have triggered the decline in the Ottoman empire and it’s power over the Mediterranean and Europe!